Mr. Enrique Garrido Carrión consolidated his activity on national transport which was started before Spanish civil war. He was one of the ﬁrst in performing international delivering of fruits and vegetables. He was founder partner of the ﬁrst Valencian transport cooperative “COTRINTER”. Is launched the company “Transportes internacionales levantinos S.A” (TILSA), dedicated to national transport as well as international transport, being the main partner MR. Enrique Garrido Carrión. A split is made from “Transportes Internacionales Levantinos, S.A (TILSA)”, creating “Mediterranea Garrido de Transportes MEGATRANS SL”, being transferred to an exclusively familiar scope. 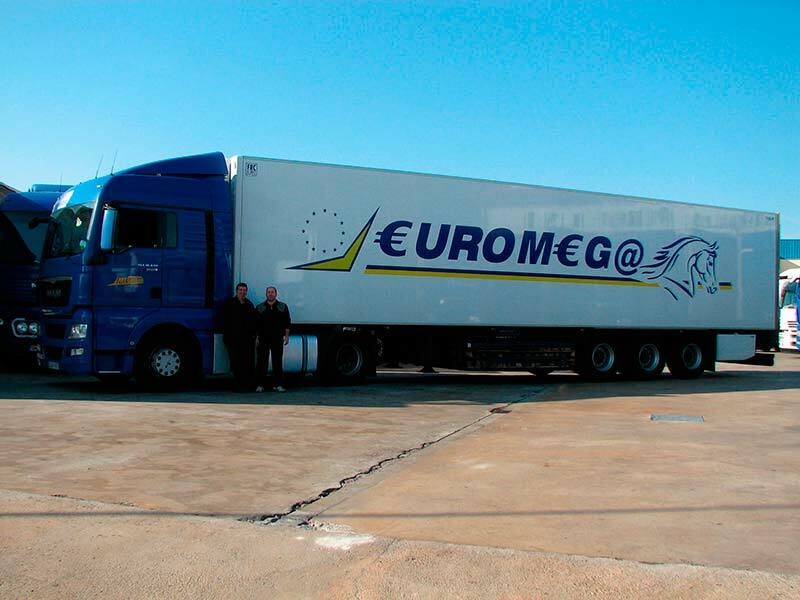 To attend our customers needing of logistic and storing, “EUROMEGATRANS S.L” is created, which develop it’s activity as a transport agency. 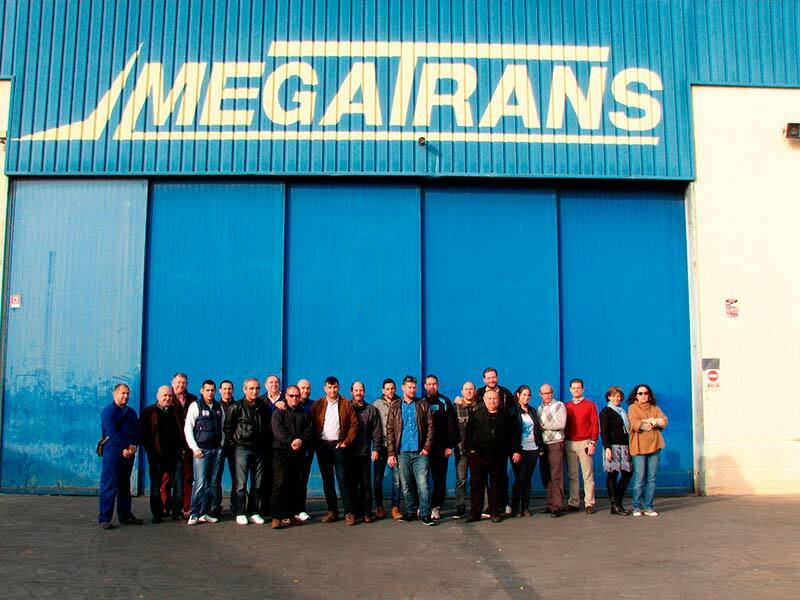 This companies compose the ambit of the “MEDITERRANEA GARRIDO DE TRANSPORTES, MEGATRANS S.L” group. There’s not a shortcut that can resist us or KM of the road that we don’t know. This is a place of professional and personal growing for all people working with us. Our value in our mission relays on our hight qualiﬁed team. We count on numerous drivers who support and link all our organization. With the purpose of improving ourselves, we have programs of training for our drivers. Mr. Enrique Garrido Carrión consolidated his activity on national transport which was started before Spanish civil war. Twelve years later, in 1957, he was one of the ﬁrst in performing international delivering of fruits and vegetables. 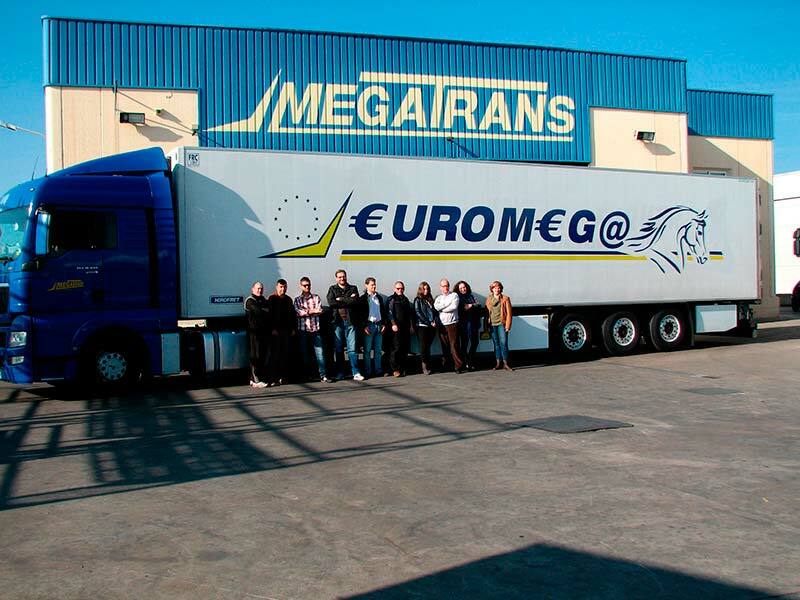 Today, Euromegatrans is one of the biggest transport companies in Spain.